I’ve always felt that Constellation Record’s output generally consists of music that’s a little outside the norm. Even in a genre that in my personal opinion, feels mostly rigid, the bands in question still find room to breathe and throw in their own stylistic flair. The result is something more accessible and gentle than what we may now be used to from this label. 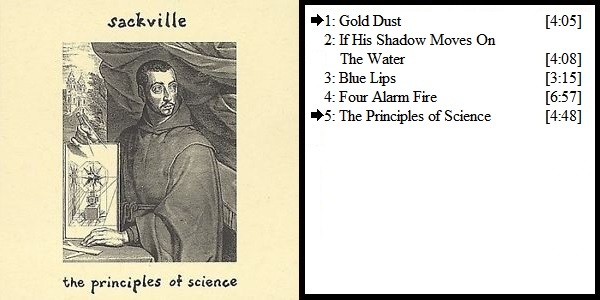 The Principles of Science remains Sackville’s only release on Constellation Records. The release seems to be the first to stray away from the incredibly experimental roots of (arguably) unconventional music, in favour of a more approachable folk style. The band, lead by Gabe Levine’s gentle vocal style and delicate acoustic performance, still find ways to throw in different ideas and concepts, offering something that feels distinctly folk, without simply sounding like another run-of-the-mill folk record. The result is a very gentle and fragile record that feels uplifting and moving as we move across its five tracks. A sense that feels a little bit at arms with the more moody and sometimes grim sound we’ve seen prior. This EP release perhaps makes sense of some of Constellation Records future additions to the roster (Eric Chenaux, Siskiyou, Elfin Saddle and of course, Vic Chesnutt), who also offer their own refracted viewpoint on the folk genre. According to the website Rate Your Music, Godspeed You Black Emperor!’s Slow Riot For New Zerø Kanada is the highest rated EP amongst its users. When thinking of EP releases, I can think of many that have grabbed my attention in many different ways, but none quite like this. It’s perhaps a very tall claim, but the material presented on this EP release from Godspeed is nothing short of phenomenal, and arguably remains some of their best work to this present day. In short, some people may have their own favourite EPs, but for the most part I agree with the users of Rate Your Music. First half offers us ‘Moya’, a slow-building monolithic post-rock experience that perhaps foreshadows much of the band’s later material. On the album’s second half ‘BBF3’, we get more of that style we’ve become familiar with from listening to the band’s debut effort, where the band’s post-apocalyptic style is accompanied by an vox pop interview with a stranger calling himself Blaise Bailey Finnegan III. The angry politically charged rant discussing America at the time of the recording feels as eerie and unsettling in this current day and age. It’s akin to being part of the audience to sign-wearing doomsayers marching the streets. Very much fitting in with the various members of Godspeed’s own political opinions and worries, all translated into this stark yet beautiful apocalyptic music. If you happened to go see The Polyphonic Spree perform their debut album ‘The Beginning Stages…’ in its entirety last year in London, and you’re the kind of person who gets early to things just to get to the front, then you most likely saw support act Hunck perform. Now, go back further. Did you happen to see Polyphonic Spree in London sometime in June 2014? First support band was The Plastic Dots, the now old-band of lead singer Frederick Tyson-Brown. Very exciting, but what does it mean? It probably means Tyson-Brown got bored of performing noisy shoegaze and instead evolved his sound to include a more synth-pop element, thus forming the new band Hunck. The band have released their debut EP ‘Never Had A Dream’, featuring all the wonderful hits that we all know so very damn well, or at least those of us with half a memory from those few gigs we can actually remember. Lucky for fans of the group, the songs heard live at these gigs have been recreated pretty much note for note for their first EP, so if you’re one of the people straining to remember what it all sounded like, just boot up EP and send yourself off down memory lane. Perhaps though, you’d rather not, for Hunck certainly know how to shape everything nicely, from their instrumentals to their vocals in order to create an accessible shoegaze sound, but damn if there is anything actually interesting going on here. There’s a lack of that great spark that makes us want to connect to the music. Hunck definitely have tried to do something for their debut EP, but they have failed to actually produce something of true interest. It’s not unpleasant; it just passes by without impinging noticeably on your attention. Most likely fans of The Polyphonic Spree will see Hunck again if they make their rounds back to London. Could be worse I guess. 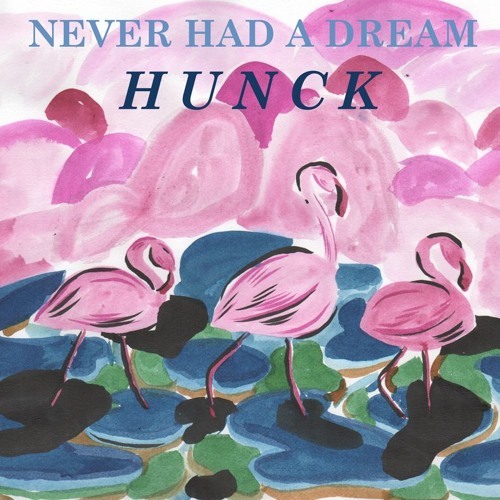 Hunck’s debut EP ‘Never Had A Dream’ is out now. English trip-hop act Massive Attack seem to have faded themselves away in recent years, turning to activism and various promises of reunions and releases. Finally following up on those promises, Massive Attack have released their first EP in roughly five years, the stunning ‘Ritual Spirit’. The new EP comprises four tracks with each featuring a different guest appearance, including the long anticipated reunion with trip-hop artist Tricky. At 17 minutes, ‘Ritual Spirit’ is an EP-experience that passes by far too quickly, but is also one that firmly ingrains itself into one’s head with each listen. Massive Attack’s latest EP release seems to have instantly reminded us all of the sheer power and grandiosity of their particular branch of trip-hop music. ‘Ritual Spirit’ slowly pushes along, using stronger elements of traditional hip-hop music to brilliant effect. At times, it feels sinister and macabre, creating images of dark London high streets and underground passages (perfectly expressed in the music video for ‘Voodoo In My Blood’). This is one of those few releases that manages to utilize guest appearances, with each collaborator cementing their position on the release by extenuating the particular tracks they appear on, rather than simply being an extra name for the credits. 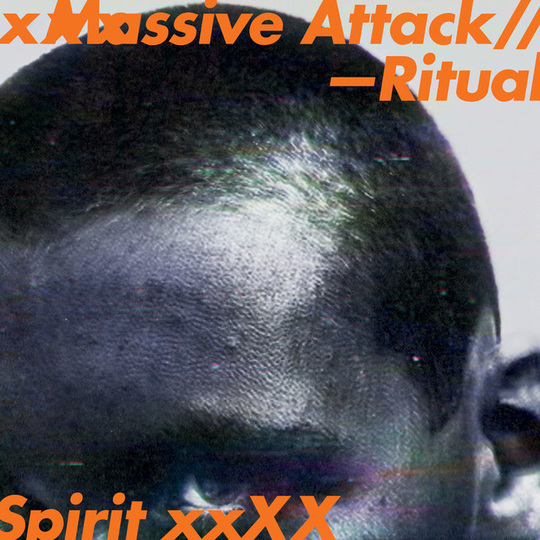 It’s arguable that ‘Ritual Spirit’ isn’t as chilled out as some of Massive Attack’s earliest releases, but it is one that’s hard to ignore the power of. There’s something almost hypnotic about what’s being presented here, suggesting a great new movement for the act to delve into on future releases. This might be the sign of great things to come, or it might just be the result of years of trying and trying. At the very least, there’s a lot to be excited about for what ‘Ritual Spirit’ offers us, regardless of what is yet to come, if anything. Each track on the EP offers something a little new, and perhaps a little familiar from Massive Attack, all coming across as some of their absolute best tracks in their whole discography. This is a release one might find themselves constantly returning too, allowing oneself to delve deep into that head-space only Massive Attack’s music can provide. Massive Attack’s latest release ‘Ritual Spirit EP’ is out now. Musician and composer Thomas Meluch, better known under his moniker of Benoît Pioulard, has certainly been busying himself this year. With the release of his latest studio album ‘Sonnet’ on the Kranky Record label, and the two companion releases of ‘Stanza’ and ‘Stanza II’, Meluch now offers his latest EP release of ‘Noyaux’. The new EP continues Meluch’s ambient projects, offering four new droning compositions. Those who enjoy and are familiar with the work of Meluch, especially his most recent releases, will most likely find ‘Noyaux’ to be another enjoyable and strong release, once again showcasing the musicians talents as an ambient composer in a great light. ‘Noyaux’ comes across as an interesting ambient release, and one that perhaps has more strengths than the previous releases of ‘Stanza’ and ‘Stanza II’. On this latest release, Meluch bookends the EP with two long droning compositions, lasting 9 and 8 minutes respectively. This sandwiches together two shorter compositions, that have less time to make themselves known, but do so with effortless ease. All in all it’s another beautiful and dreamy release, and one that lovers of ambient drone will find delightful and easily accessible. Although ‘Noyaux’ is less daring and experimental than Meluch’s album release of ‘Sonnet’, and is perhaps a release that doesn’t showcase the absolute greatest limits of Meluch’s abilities, it does offer a simple and enjoyable ambient experience. ‘Noyaux’ is perhaps less ambitious than some of Meluch’s earlier works, though it achieves what it ultimately sets out to do. The droning qualities of the opening track slowly lull us into the album experience, washing over us through two shorter tracks and then slowly escaping away on the final track, leaving us with a sense of calm and perhaps refreshment. It’s easy music to get lost into, as well as perhaps rewarding those who are more attentive to each and every detail in each of the songs. It seems that Meluch is continuing to push out releases at an incredible rate this year, and one wonders what will be coming out next. Benoît Pioulard’s latest album ‘Noyaux’ is out now. This little experimental EP release titled ‘Stolen Flowers Of The Dead’ offers up a slightly more experimental ambient experience. At 9 minutes, the release is incredibly short though it offers insight into some of the creative visions being presented by the creator. Ambient swirls and drones are accompanied by snippets of varying other instruments, many of which have been manipulated and re-designed through editing, resulting in an interesting and rather intimate release. In just shy of ten minutes, Stolen Flowers of the Dead presents a great amount of creativity, showcasing some wonderful ideas without ever over-doing anything. 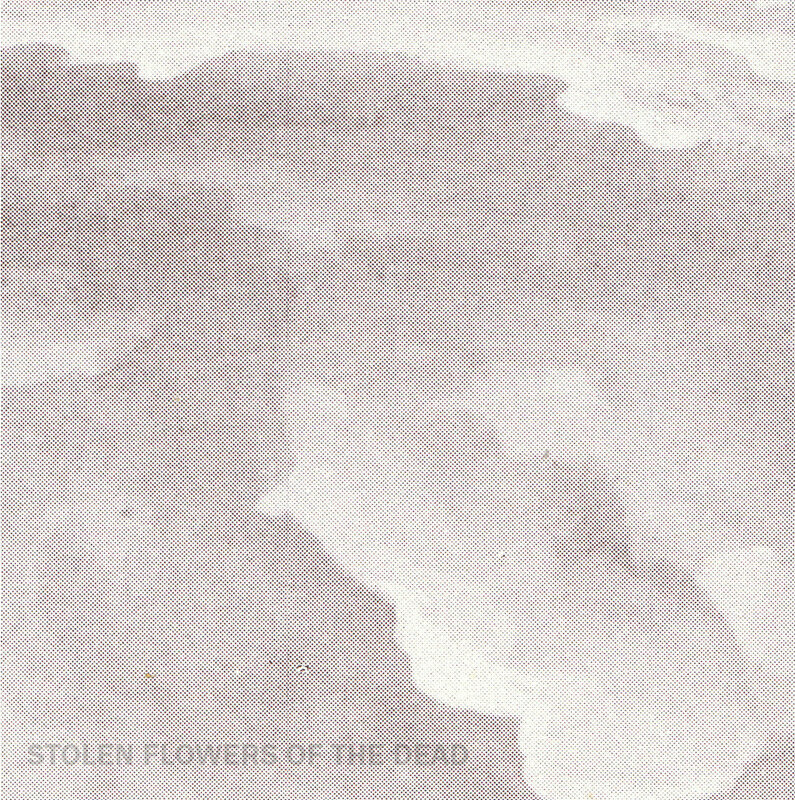 ‘Stolen Flowers Of The Dead’ offers up the groundwork for an interesting ambient project. 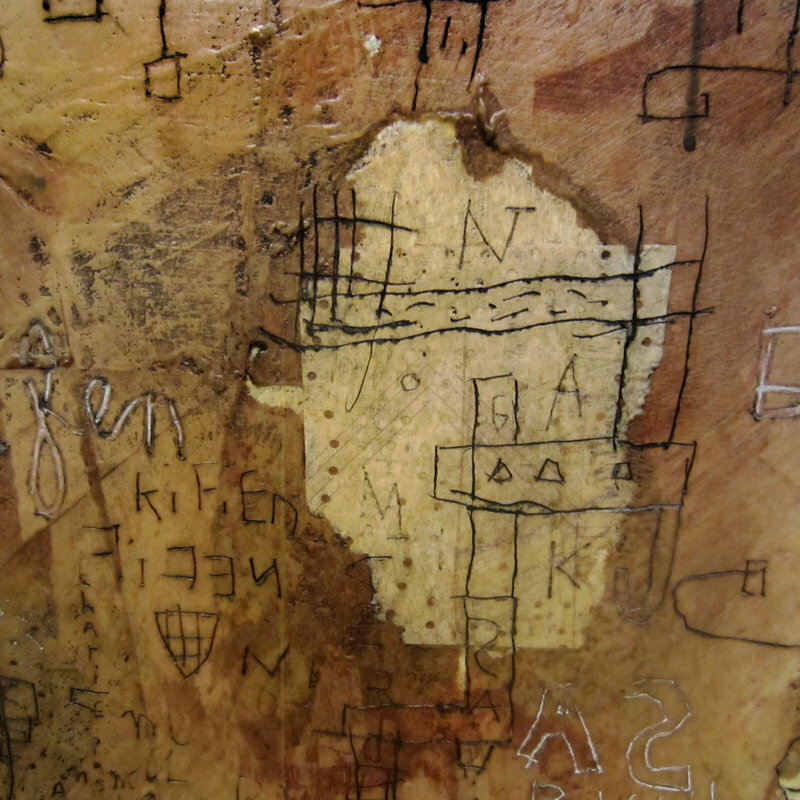 Various instruments and techniques have all been utilized in the creation of something personal to the artist. Although a little rough around the edges, there’s something that draws the listener in on this EP release, inviting them into a somewhat darker yet somehow still comforting world. Though certain elements in terms of the production of this EP somewhat falter from time to time, suggesting that the EP could benefit from more care and attention to certain post-production elements, though the EP demonstrates some very nice ideas that would be interesting to see developed in the future. It’s unsure of whether or not the Stolen Flowers of the Dead project ends here with the release of its first EP, or whether it may continue in the future, though one certainly hopes so after hearing this debut release. Although imperfect, there’s some wonderful notions being presented here, and the personal nature of the music itself gives it an element of real sincerity that’s somewhat hard to find these days. Yes, it is incredibly short, though it serves as a perfect introduction to something very interesting. Experimental artist Alexandre St-Onge presents his latest release on Oral Records titled ‘Lise G.’ The new release features St-Onge’s soundtrack for the art exhibition of the same name. On this release, St-Onge pushes out his trademark experimental style to great effect, offering another unusual, bizarre and oddly engrossing sound experience full of incredibly weird concepts and ideas. As with many of St-Onge’s releases, there’s a very inaccessible element running throughout the album, making it a difficult listen, but to those who find the world of St-Onge so engrossing will find ‘Lise G.’ to be another wonderful insight into a weird and unusual world that only St-Onge knows. ‘Lise G.’ comes across as quite radical in terms of its experimental notions. An electronic ambient notion runs throughout the album, setting the scene for an unsettling world. Much of the actual music feels incredibly sparse, with a main driving force being a bizarre vocal track that sounds perhaps like St-Onge choking himself, forcing his voice into weird and unusual shapes that paints the picture of something that only St-Onge understands. It’s by no means an accessible release, coming across as too weird an exercise to exist and perhaps one of St-Onge’s most challenging releases to date, though its in St-Onge’s approach to the whole notion of production and creation where we find the oddly appealing element. ‘Lise G.’ is hardly a record that will astound and amaze people, though it will perhaps place listeners into a world of interpretation, where the sounds being conjured up place each and every listener into their own head-space, drawing the gap between the consumer and St-Onge himself. It’s perhaps arguable that this isn’t one of St-One’s most impressive releases in his extensive career, though it oddly enough seems to be one that really sticks around in the memory, constantly tempting those daring enough to give it another listen and see what new things they will discover. Alexandre St-Onge’s latest release ‘Lise G.’ is out now on Oral Records. Across an incredibly extensive career, musician and song-writer Will Oldham has offered up an incredibly array of releases under the moniker of Bonnie ‘Prince’ Billy, weaving together mystical elements pulled out of some belly of some mystical and ethereal beast. Oldham’s latest release sees himself teaming up with experimental rock group Watter, and Stillwater Artisanal (A brewery/art company based in Baltimore), all released under the new name of Bonnie Stillwater. The new collaborative release features the incredible title track, as well as a remix from Ex-Tortoise member Bundy K. Brown, whose contribution to the release feels every bit as relevant and important as the title track itself. ‘The Devil Is People’ showcases once again Oldham’s fantastic ability to weave together musical elements and lyrics, backed up by phenomenal contributions by Watter who cement their importance on the recording with effortless ease. 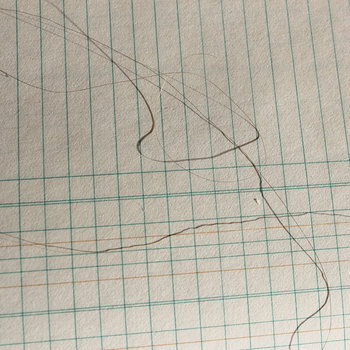 Whilst Oldham himself is at the forefront of the tracks, singing of mysterious forces with an almost ethereal yet accessible quality, the collaborative efforts themselves between Oldham and Watter result in a record where every element and technique is as important as each other, showcasing a fine combination of talents and ideas between the respective artists themselves, including Brown’s remix which acts almost like a secondary chapter to the journey as opposed to a simple reinterpretation. Oldham and Watter’s collaborative release showcases an incredible passion in the creation of music, one where all those involved understand and buy into the concept being presented. Although the musical elements sometimes border the inaccessible, mostly in the incredibly dark and unsettling tone of the music itself, it still comes across as an incredibly vital and important musical release, and one that highlights the respective talents of the artists at some of their best. Although there’s only two tracks being released at this time, there’s enough here to understand the underlying concepts of what is being created, as well as its importance. Oldham & Watter’s new collaborative effort comes across as one of the most interesting and engrossing releases from Oldham in recent years. ‘The Devil Is People’ doesn’t overshadow any previous effort from any of the musicians, but instead elevates itself as a strong release all on its own merits, joining alongside the many strong prior releases with comfortable ease. Each and every element injected into the tracks seem to just work, offering up a very dark and almost harrowing musical experience that compliments those involved. It’s a very short listening experience at just roughly ten minutes, but it’s all you really need. Bonnie Stillwater’s latest release ‘The Devil Is People’ is out now. Experimental artist Alexandre St-Onge teams up with his partner Fanny for their collaborative effort ‘Innatendu’, released under the title of Fanny Alexandre. The new release offers up an eclectic mix of experimental notions and ideas, many of which have been explored on previously through other collaborations on previous releases by Alexandre St-Onge. ‘Inattendu’ arguably sees Fanny taking the foreground, offering up ghostly ethereal vocals, accompanied by electronic ambient notions. Those who enjoyed previous Alexandre St-Onge releases such as 2007’s ‘Mon Animal Est Possible’ will find a fair amount to enjoy on ‘Inattendu’, which seems to deploy similar concepts and ideas of experimentation. There’s a sparse element to ‘Inattendu’, which seems to deploy the briefest of instrumental passages to accompany Fanny’s vocal style. Everything results in a ghostly sounding musical experience, one that feels much more unsettling and sinister than some of St-Onge’s previous releases, though is equally as enjoyable. Many of the elements and techniques used on the EP feel rather held back for the most part, never pouring out into loud moments but instead remaining quiet and intimate, allowing for the music to speak for itself. The sparse elements of the album might disappoint some listeners, who might expect more layers of musical techniques in the music itself, though those open to what both artists are trying to express will more than likely find ‘Inattendu’ and enjoyable listening experience. There’s very subtle elements to ‘Inattendu’, which comes across as another ethereal and ghostly album experience. At times the album suffers from repetitive qualities between each track, though this also works in favor of the album, tie-ing together each track to present an overall thematic theme. ‘Inattendu’ is perhaps not St-Onge’s or Fanny’s most ambitious work the two artists have attempted, though there’s still much to enjoy, especially to fans of St-Onge’s very unusual and experimental style. Fanny Alexandre’s latest album ‘Innatendu’ is out now.